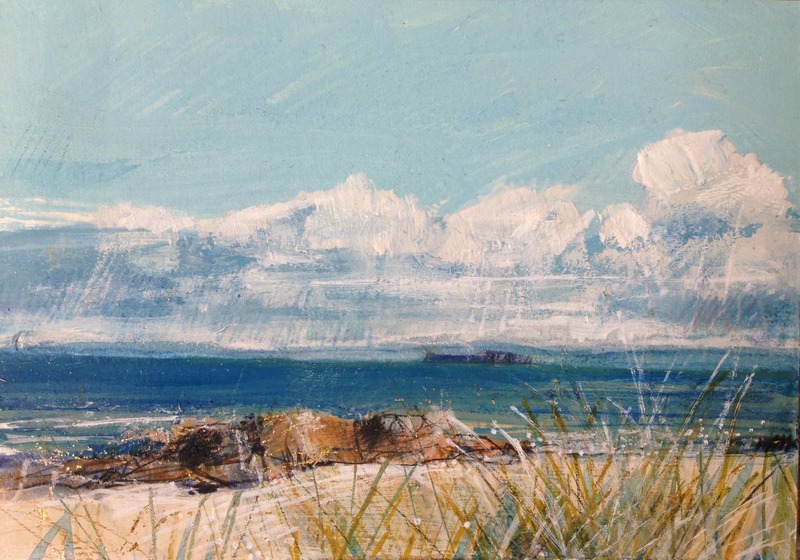 Each artist here in Sea Escape explores the subject differently. 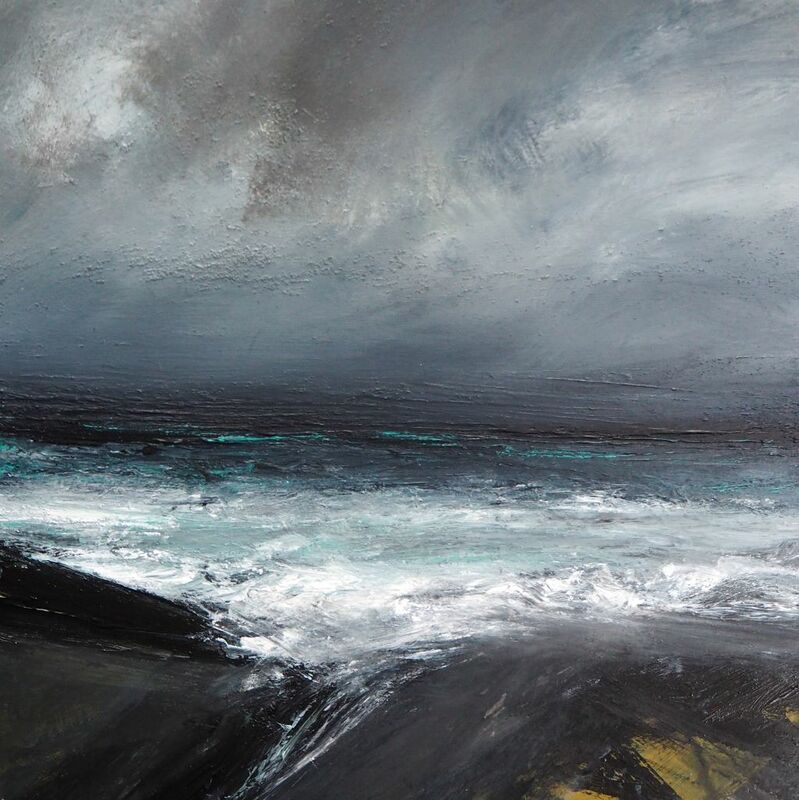 Ruth Brownlee reacts to the wild and distant shores of Shetland where she lives and works. 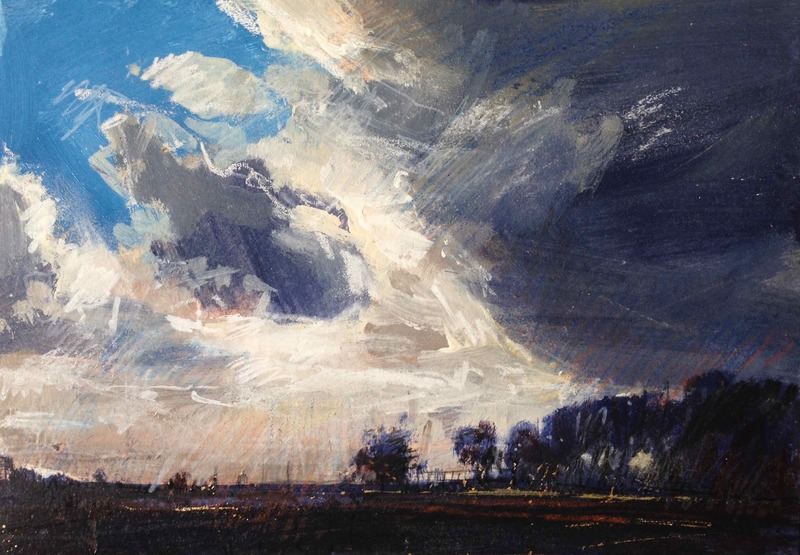 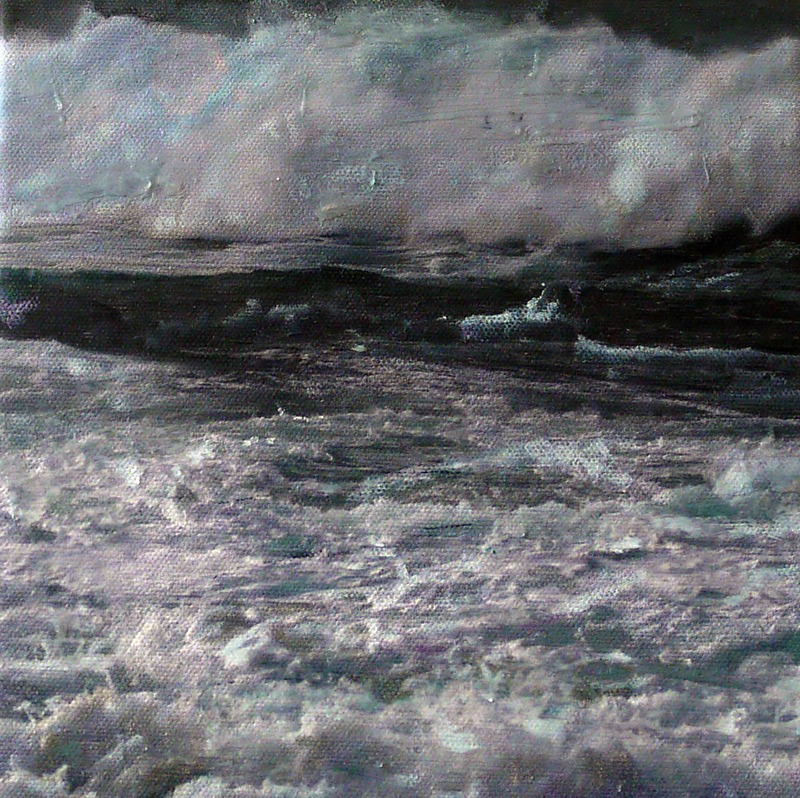 She responds to the dramatic environment using mixed media to create the sense of the energy and shifting weather systems. 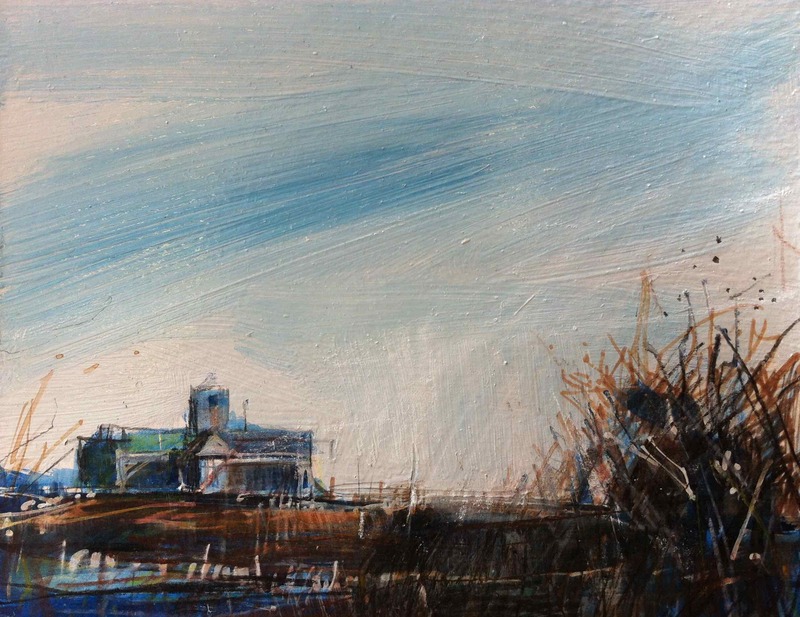 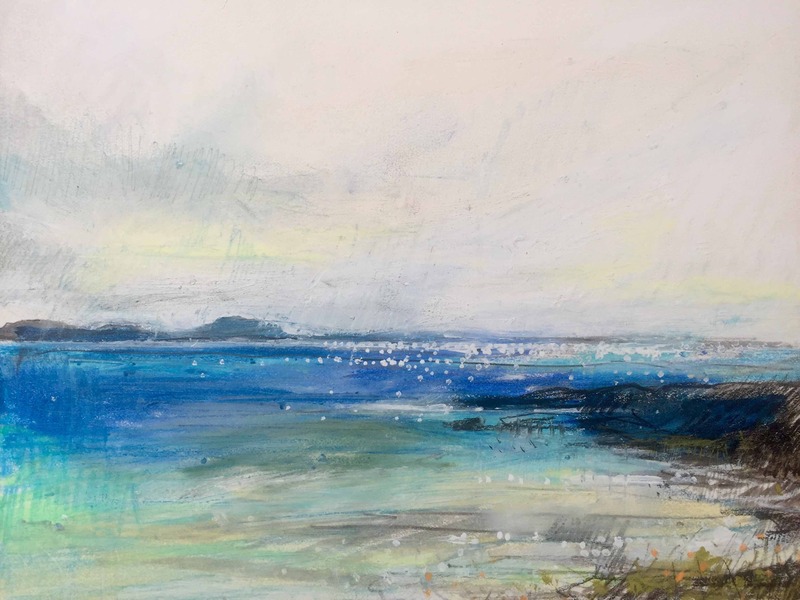 Her work captures the sights sounds and smells of Shetland. 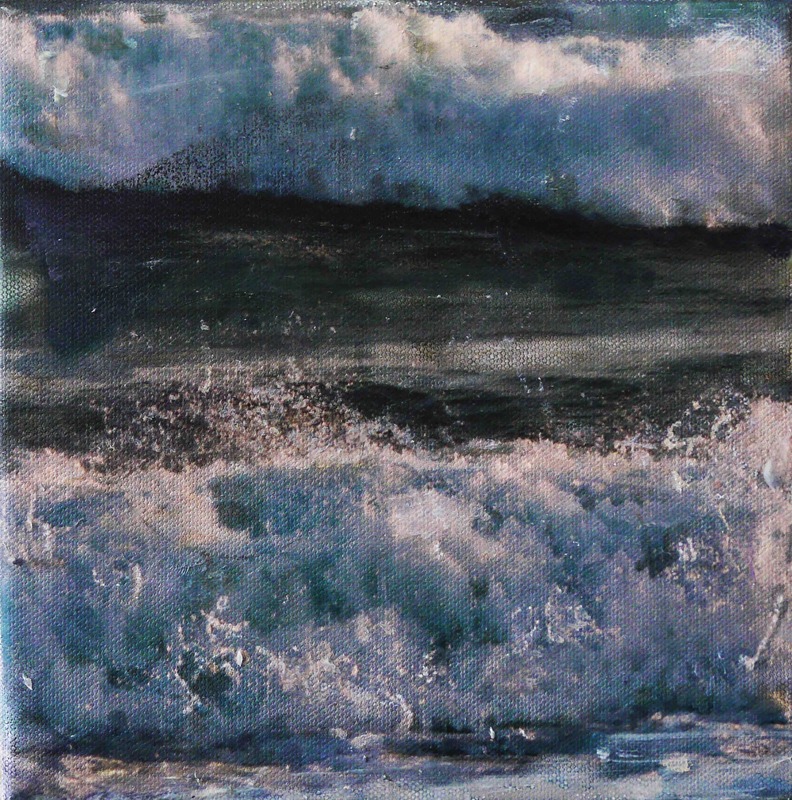 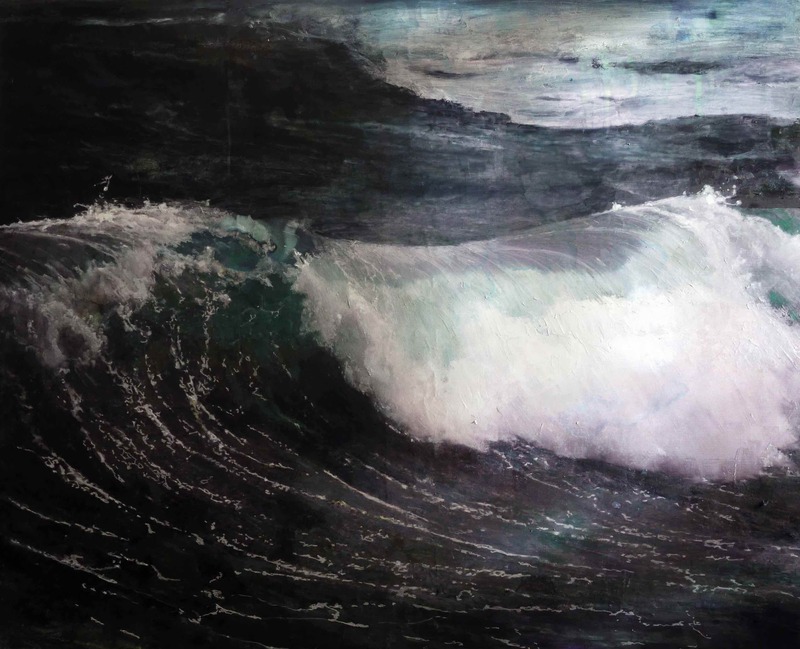 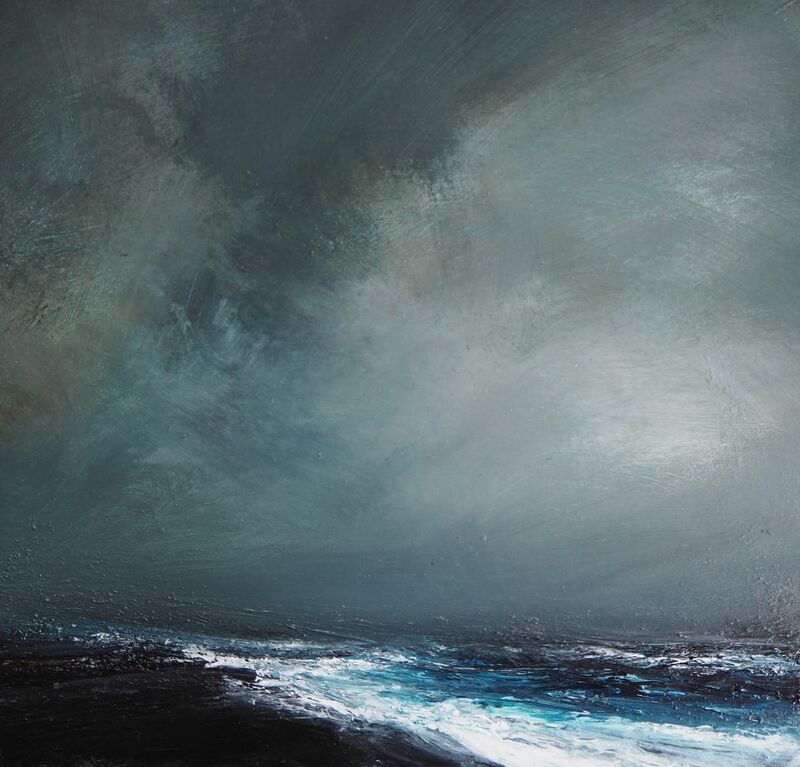 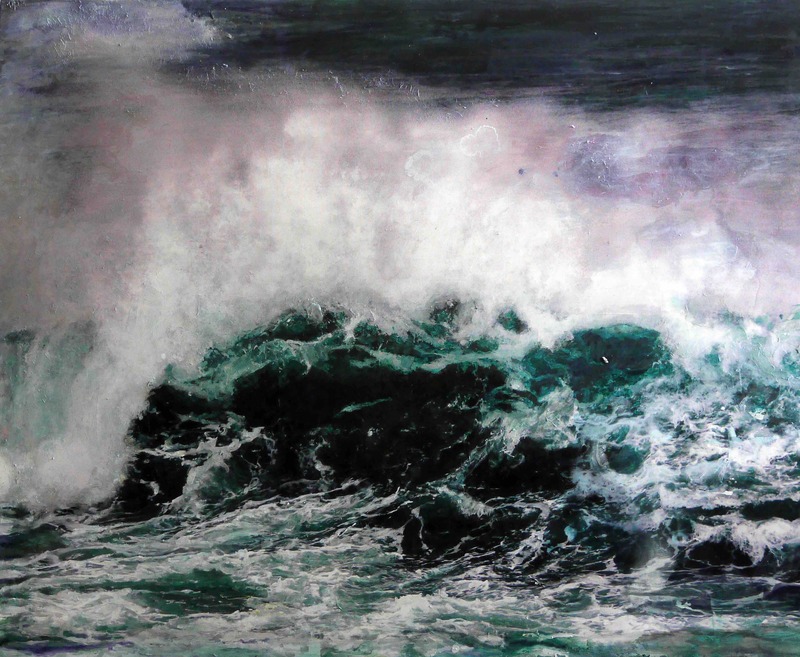 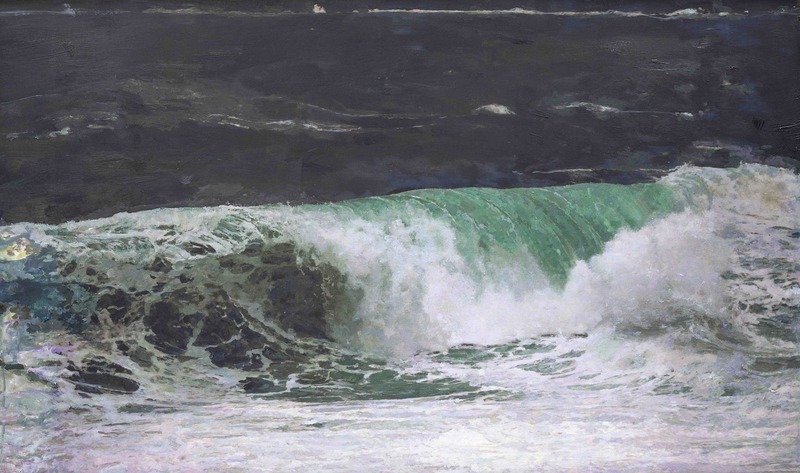 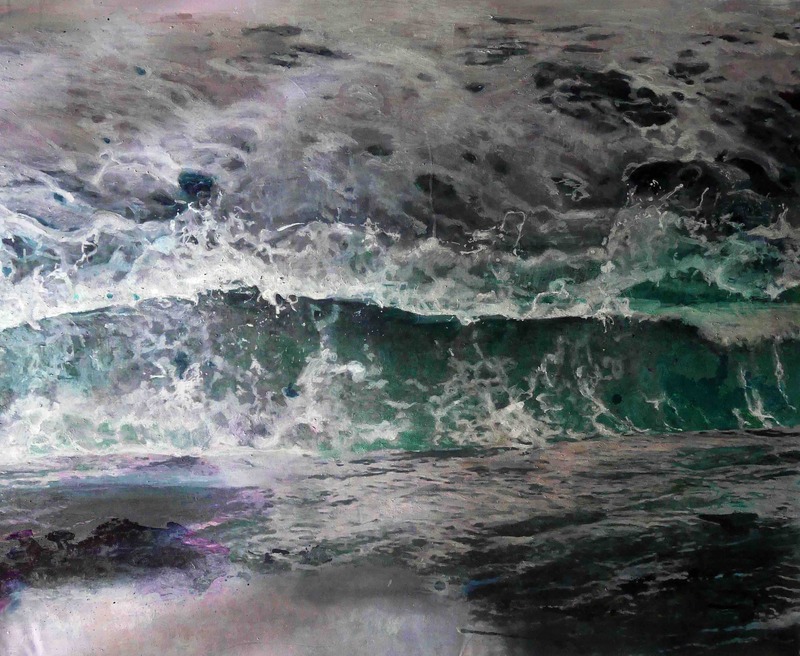 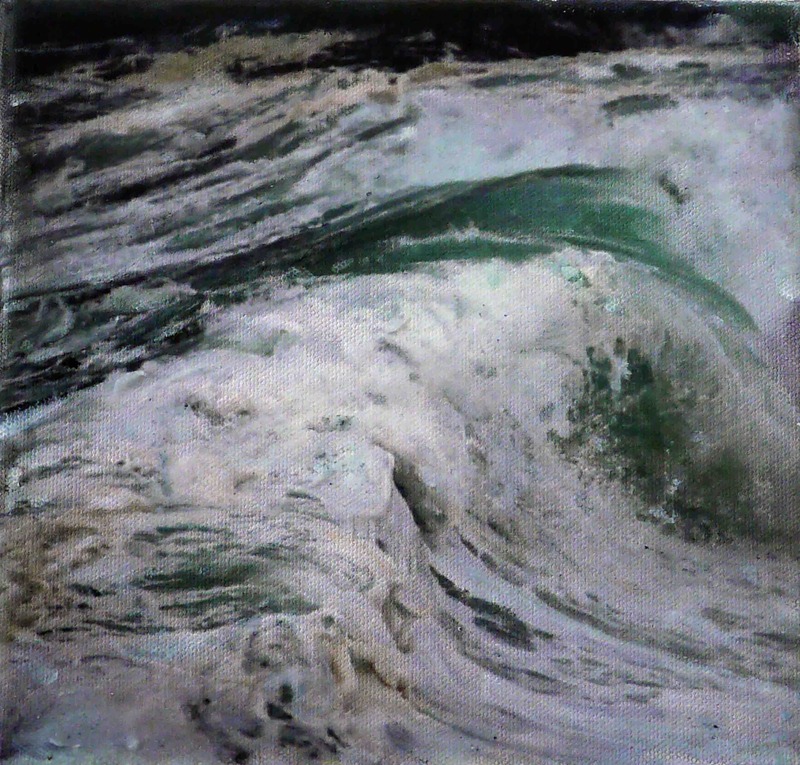 Dawnne McGeachy, through the use of oil paint, tells us of the power and mesmerising qualities of the wave. 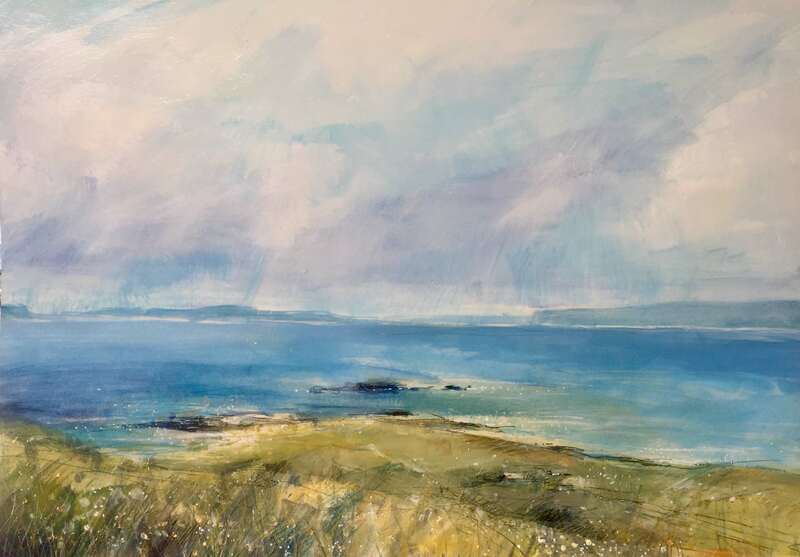 With it she brings the fond memories of her childhood holidays in Shetland and her connections of her father being a fisherman; working on the seas and the dangers it entails. 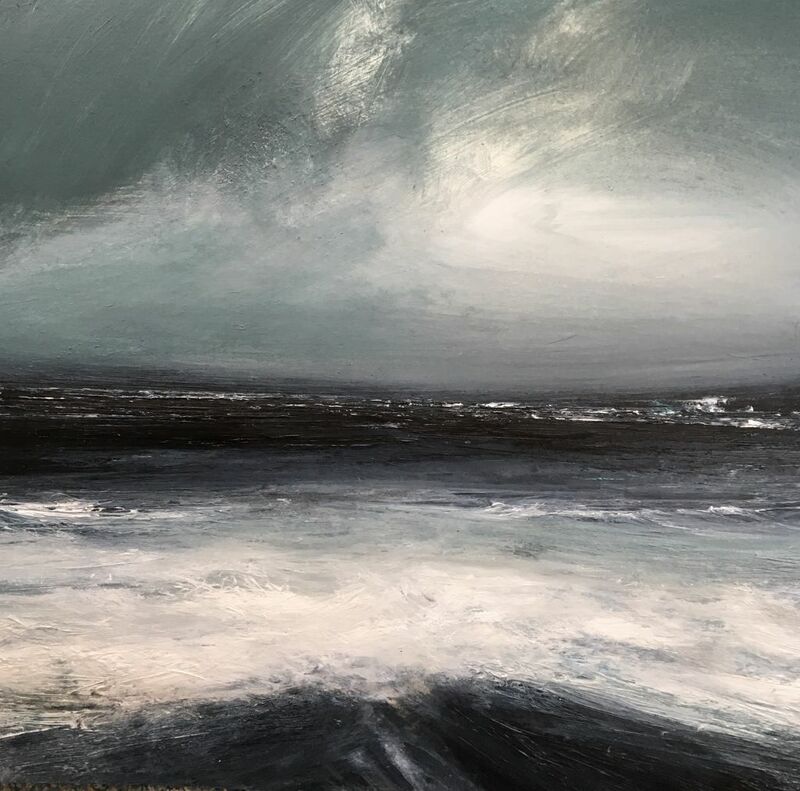 Beautifully executed work Dawnne makes more than just paintings of waves, she dives under the surface to reveal the history and the deeper connections that Scottish culture has with the seas. 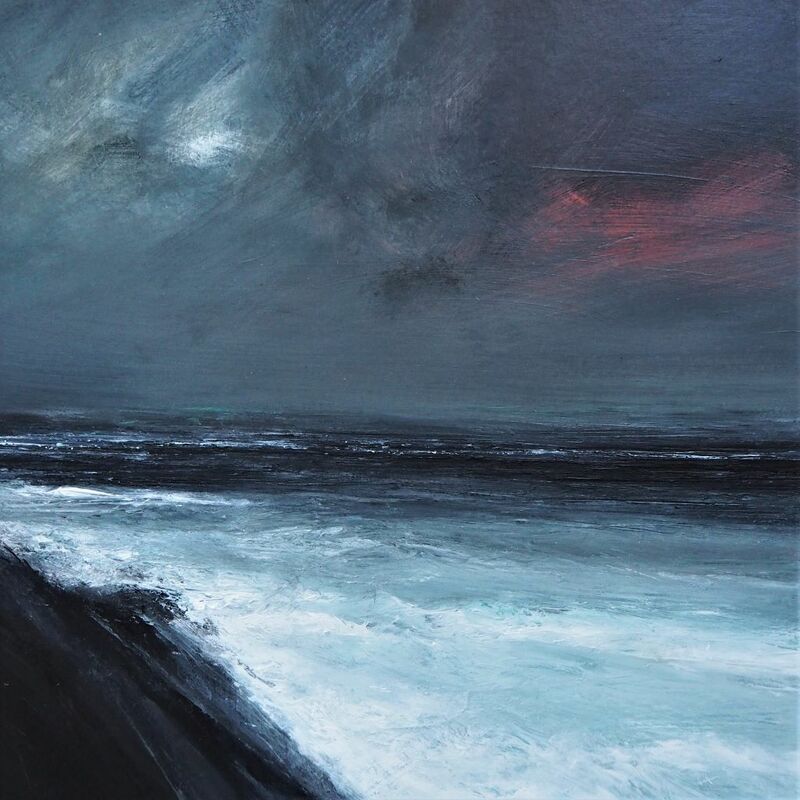 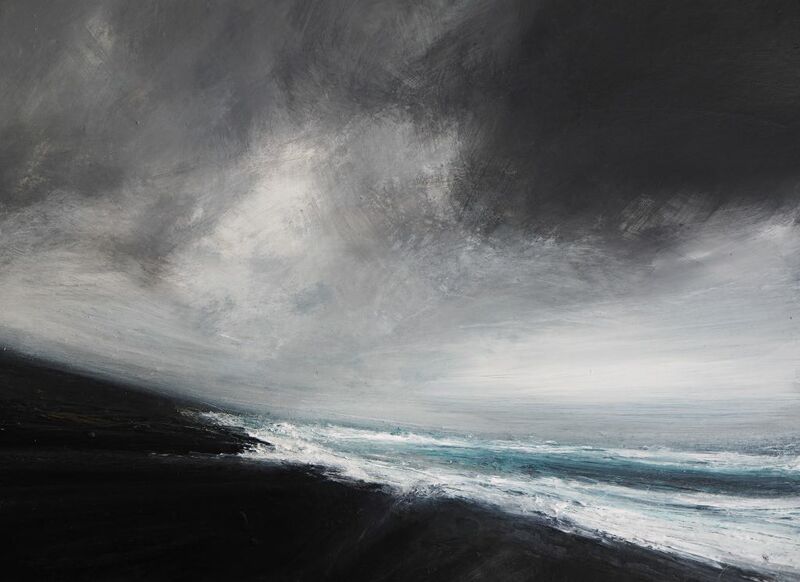 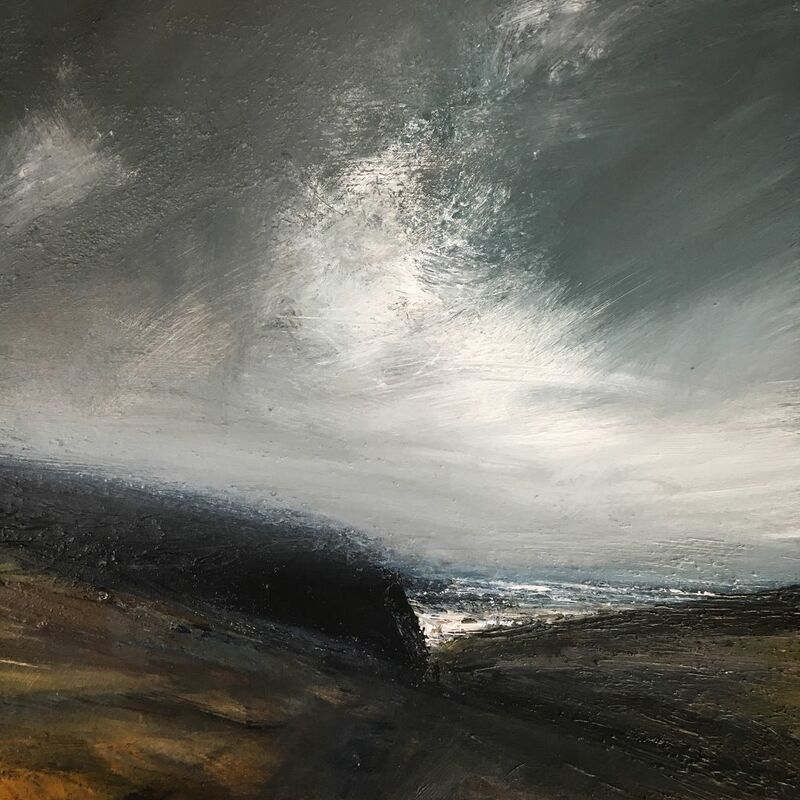 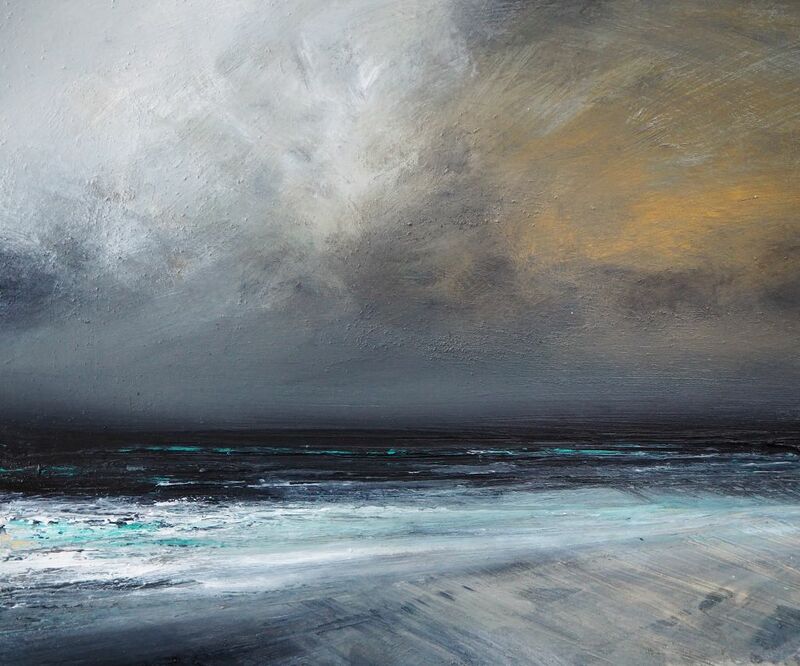 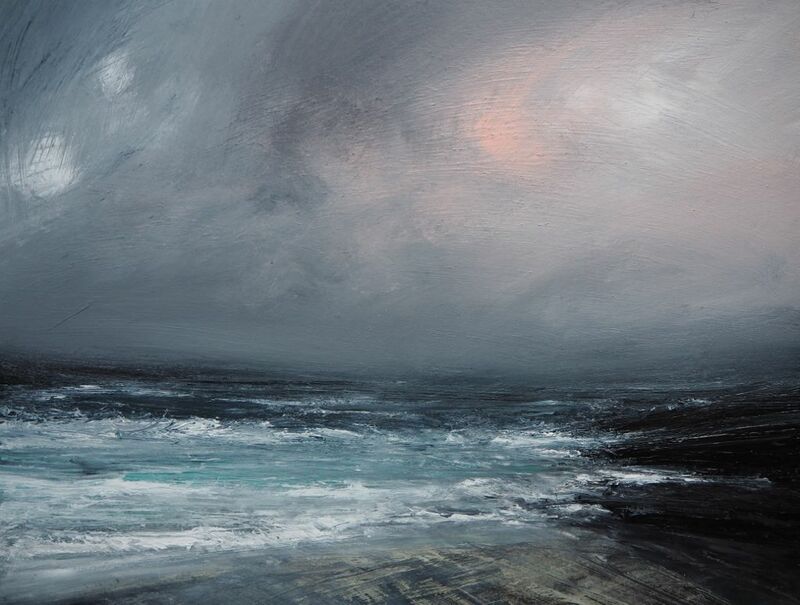 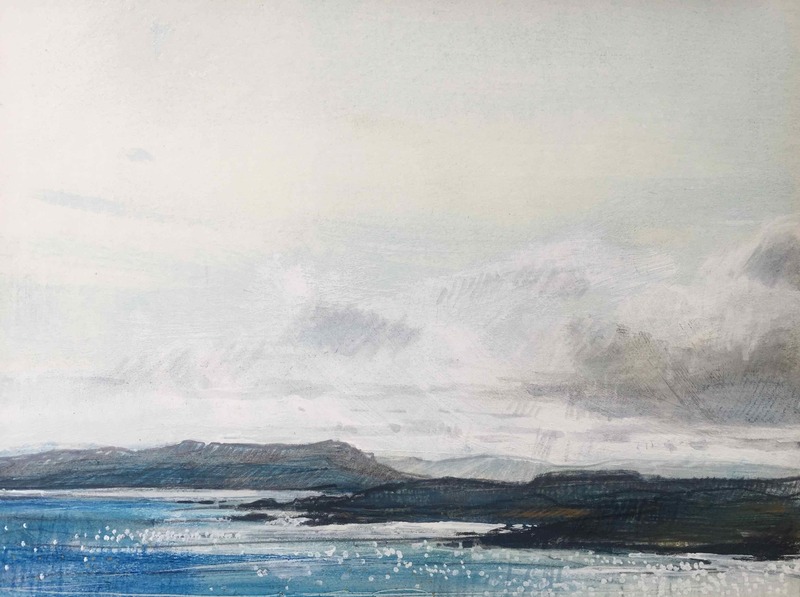 Sarah Carrington's work captures a sense of the moving light and weather conditions found both in Ireland and the West Coast of Scotland. 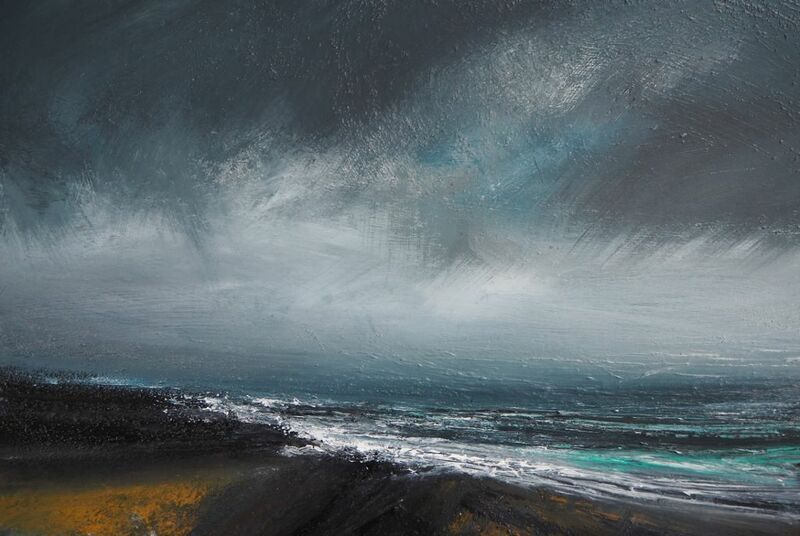 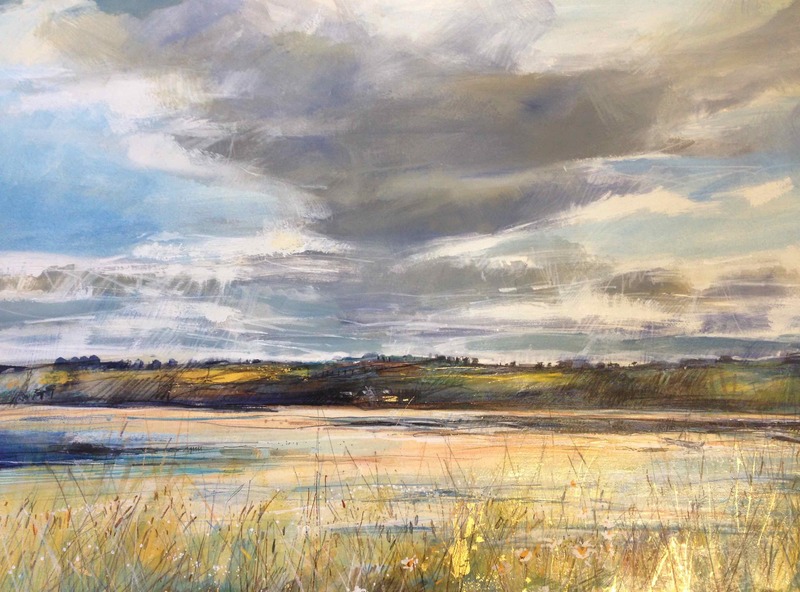 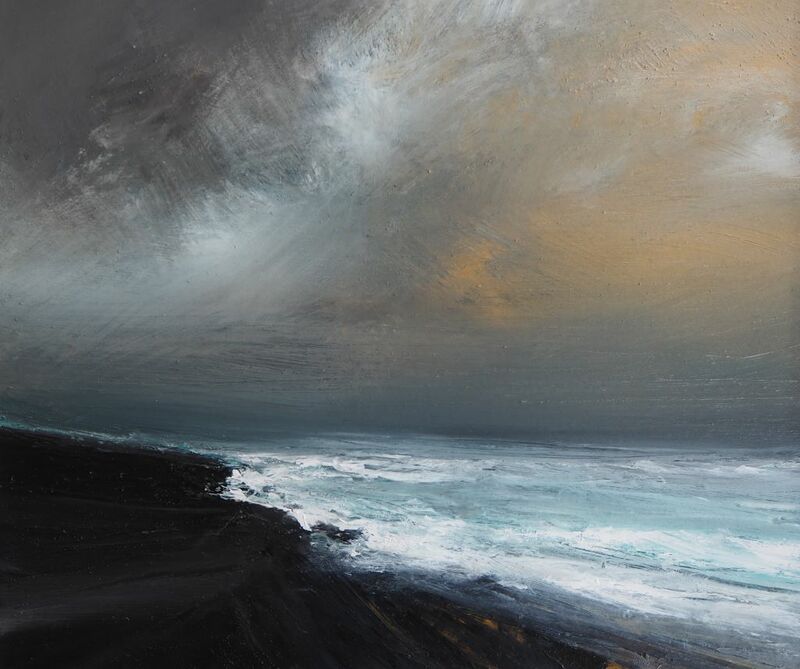 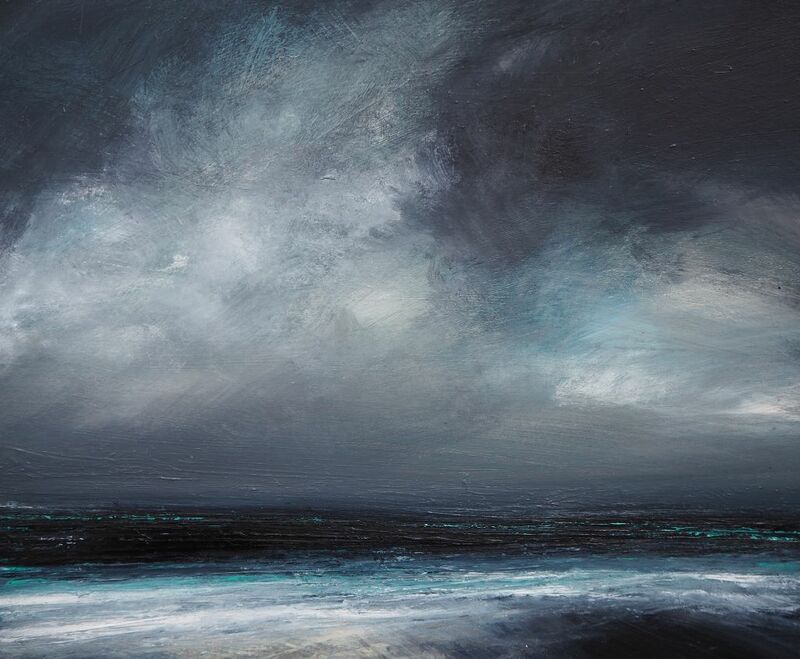 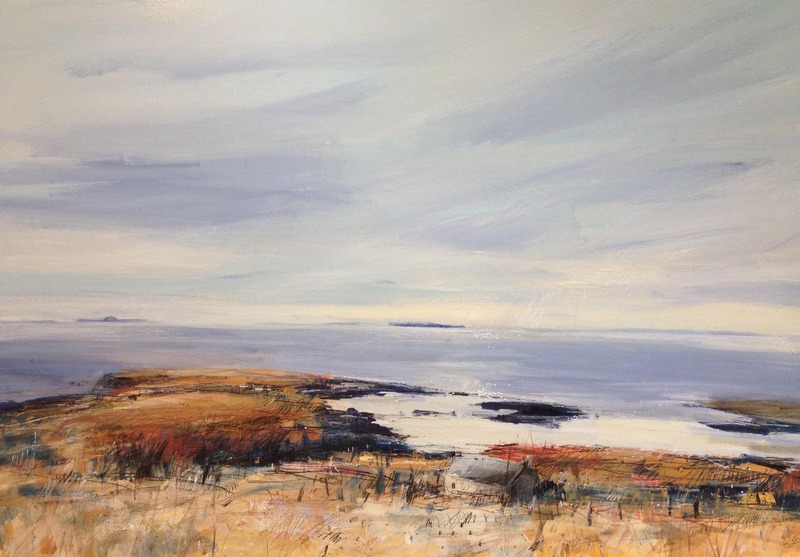 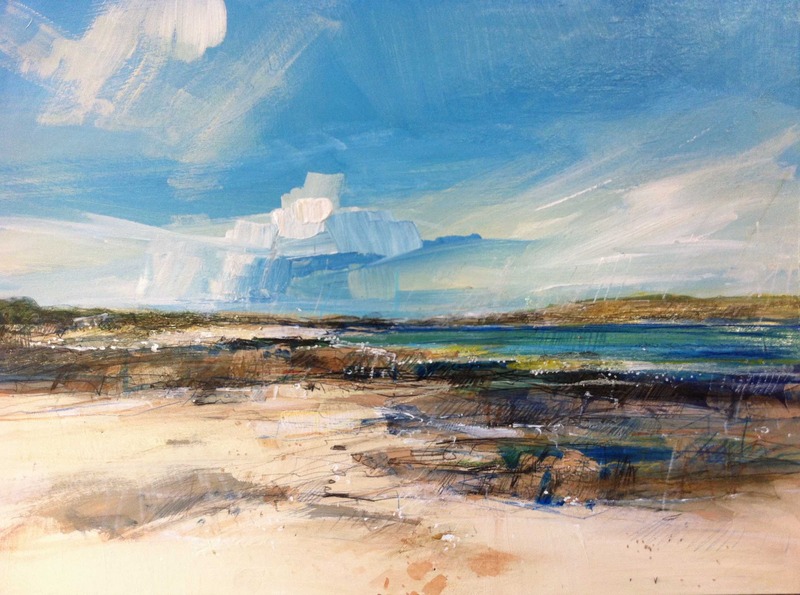 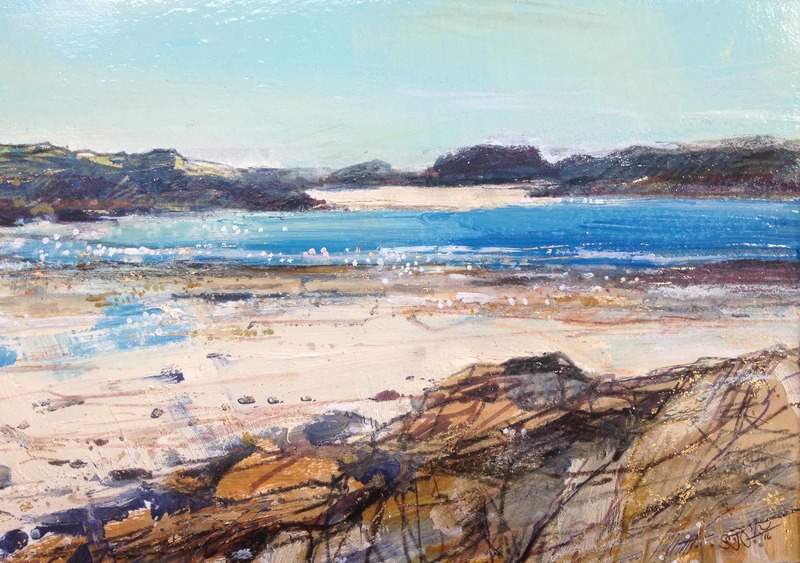 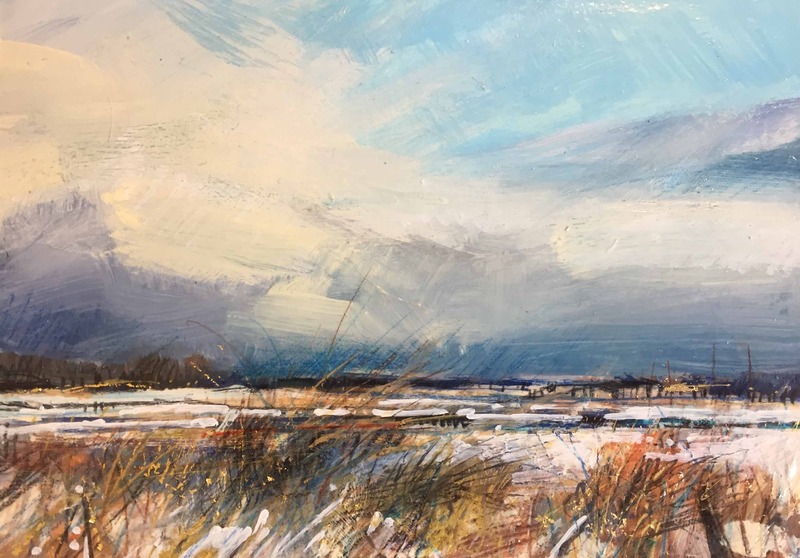 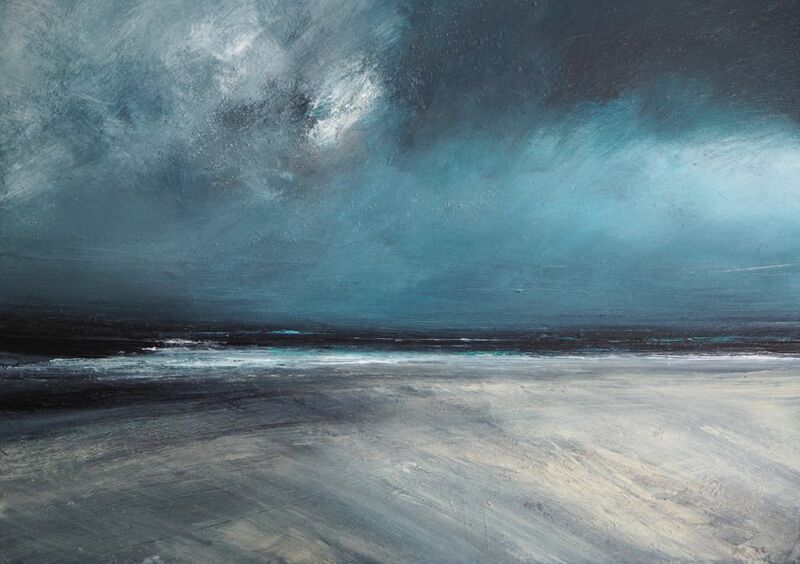 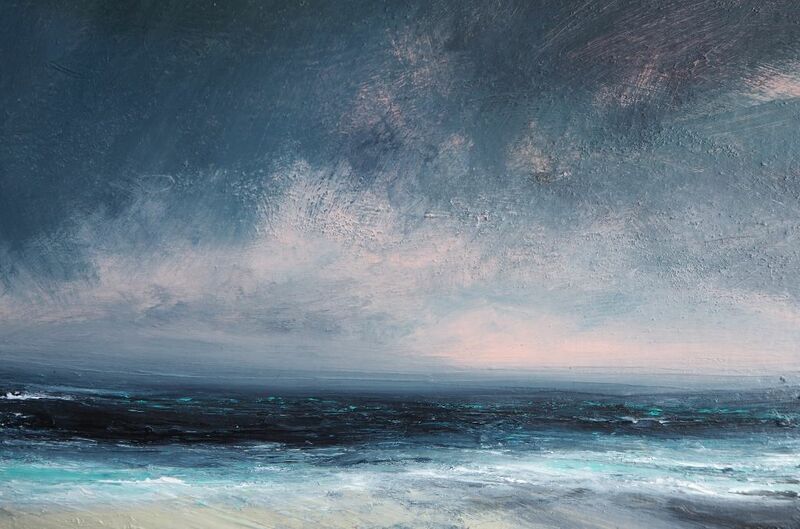 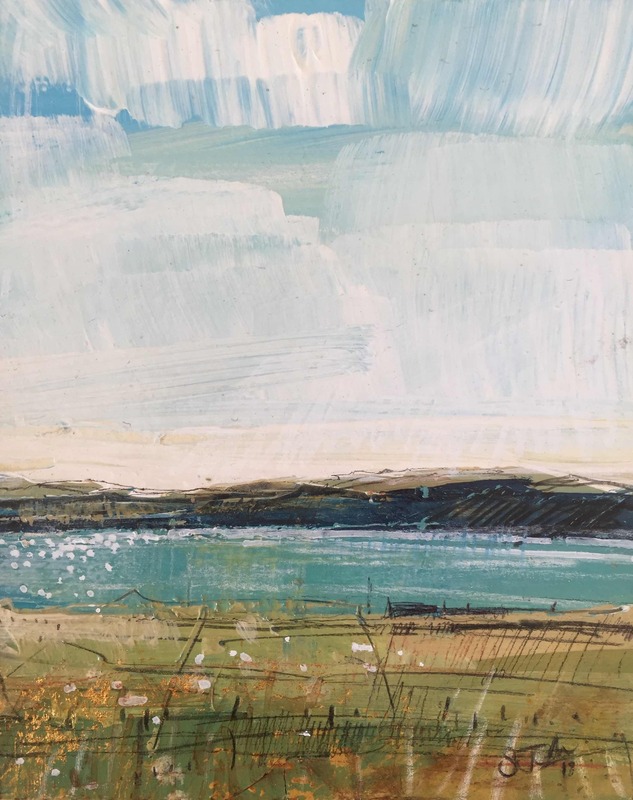 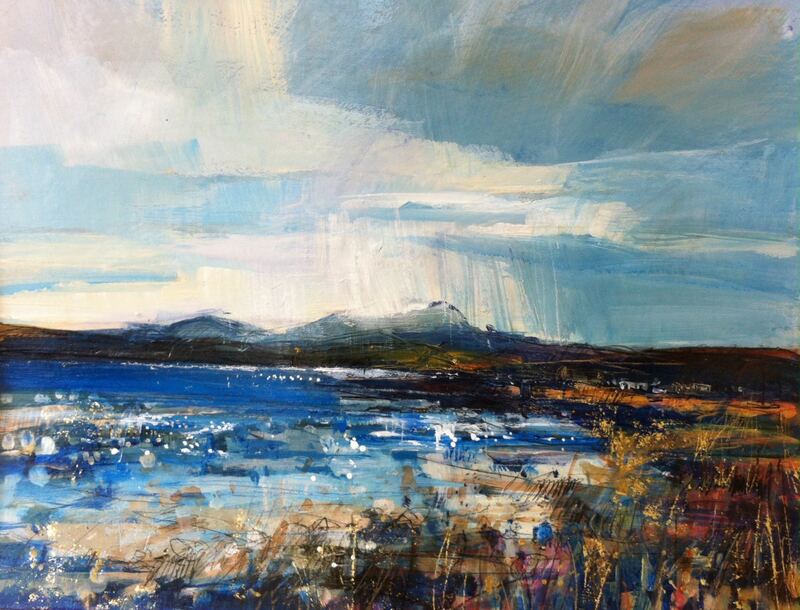 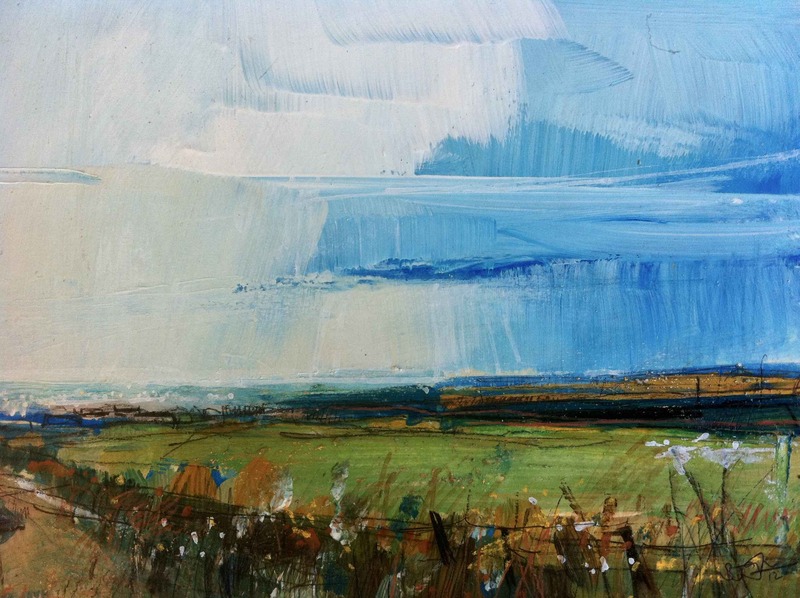 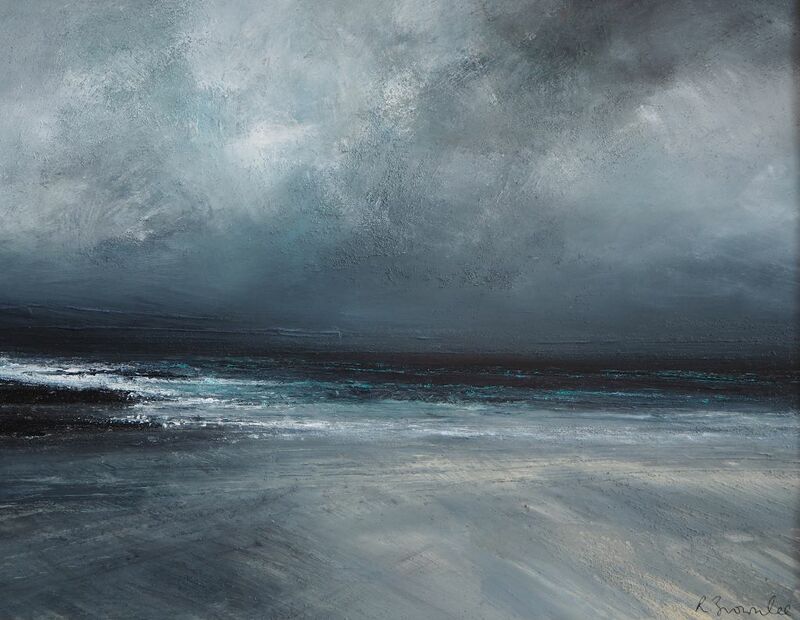 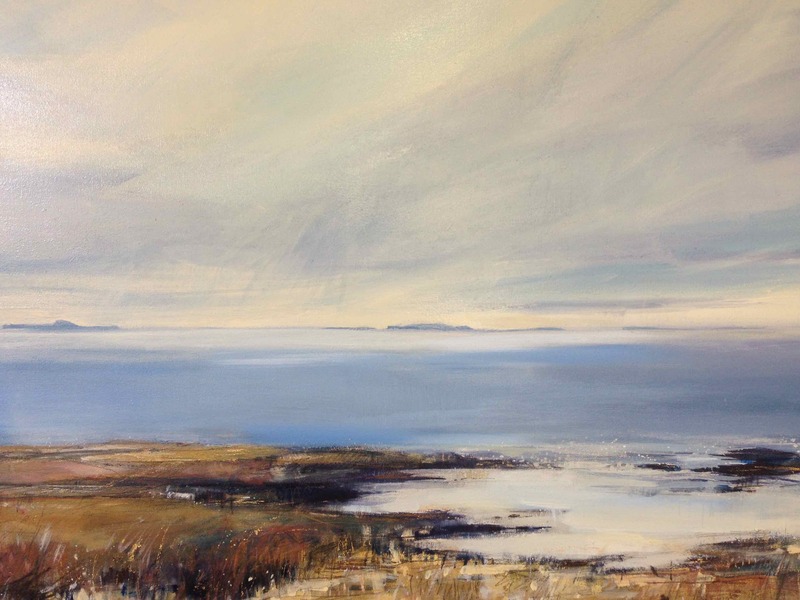 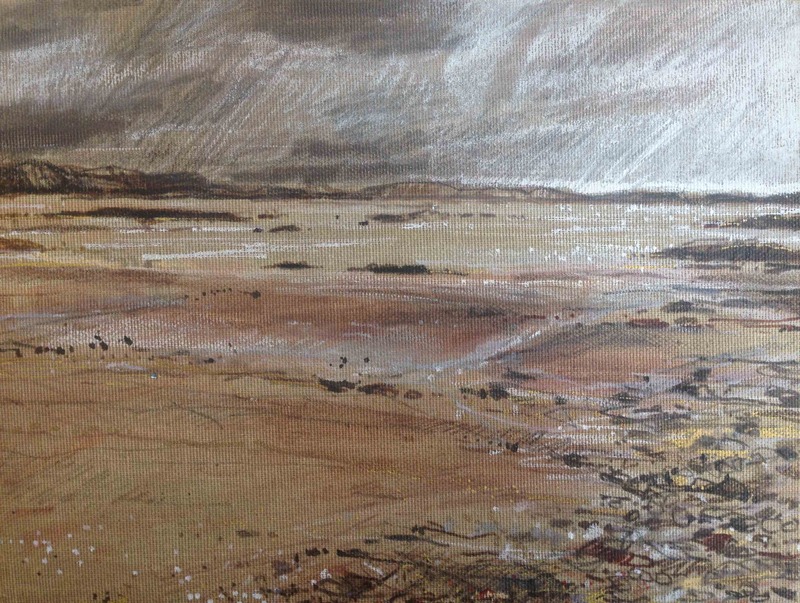 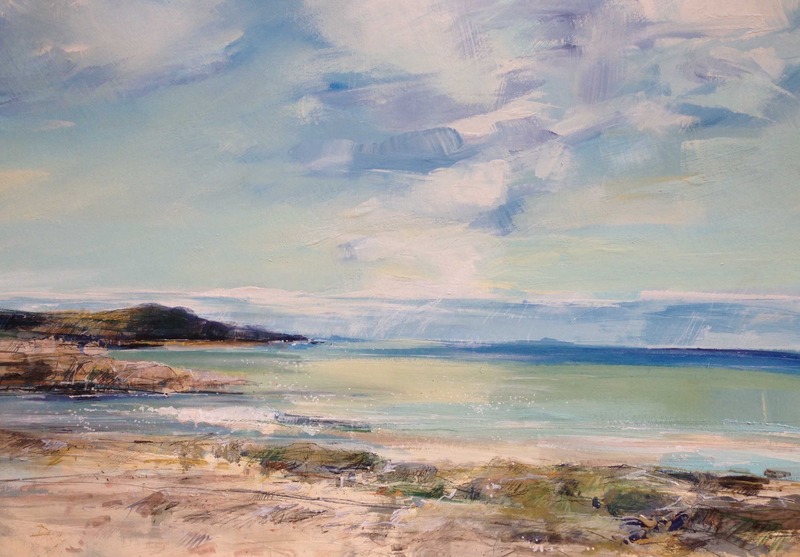 She uses a combination of mixed media to convey the textures and rhythms of the coastal environs and creates a wonderful sense of the depth and distance of the sea and sky.